Well as you can see, that this is a brand new page called "Awesome Avatars". 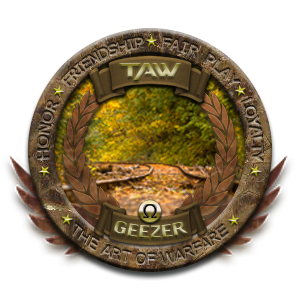 This page will be dedicated to some of the great talent we have here in Taw. I'm sure most of us have scrolled through TeamSpeak and have come across some totally eye catching avatars. So, with this in mind we thought it would be great if we could find a way to let everyone see some of this artwork. So this is what we have cooked up! ​Between now and the next issue, we would like it if while you are scrolling through TeamSpeak, you see an Avatar you really like. Take a snap shot of it and send it to us. The staff here will go through all submissions and pick two to highlight in the next Newsletter. ​By the way there is a catch,(there's always a catch isn't there). 1. You can not submit your own avatar. ​ that we reserve the right to discard submissions for violating Taw policy. in Taw and spot light them to our entire community. ​ going in to the windows search and type in Snipping tool. Open the tool, click new, with your mouse highlight the target, release the mouse button and save to your favorite location.